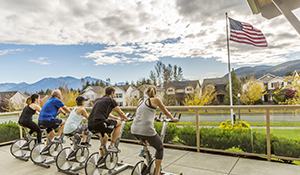 The Snoqualmie Valley YMCA is a small but close knit branch established in 2012 to meet the needs of our active, outdoorsy and fast growing community. Over 30% of the population we serve is under the age of 18, so we focus heavily on programs for children, teens and families. We are proud to count 42% of area residents as members and to play a vital role in helping our neighbors come together to achieve their goals. The Snoqualmie Branch of the YMCA of Greater Seattle serves the communities in and around North Bend, Snoqulamie, Fall City and Preston. 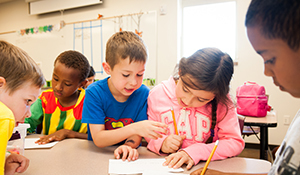 Snoqualmie was recently rated the #4 city in the US to raise a family, so it makes sense that we offer the largest Kids University after school enrichment programming in the entire YMCA of Greater Seattle Association. At the Snoqualmie Valley YMCA, our staff make all the difference. Our staff have a strong commitment to serving community. They focus their energy on helping constituents of this community.